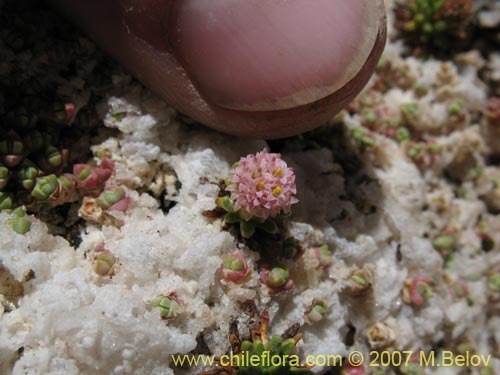 This is one of the smallest and strangest Chilean plants - it barely measures 1 cm. high by 7 cm. 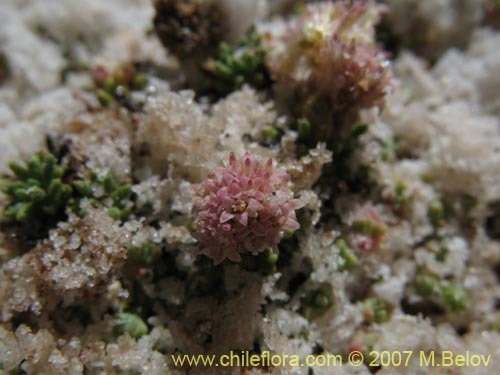 in diameter" And what is more, it grows in almost pure salt. 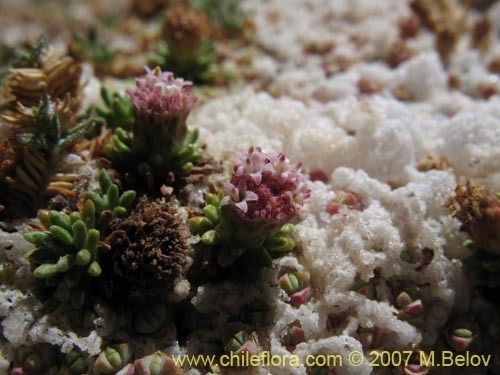 The white stuff you see on the photos, is not snow or frost, but a crust of salt" This inhabitant of high altitude salt lakes (salares) grows at more than 4000 m.
We are not sure what the exact requirements for germinating the seeds of this pigmy plant are. 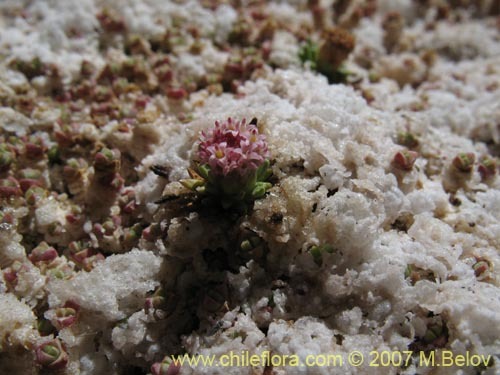 It can be presumed that a cold stratification may be necessary (although considering the fact that the temperatures even during summer usually fall below zero at night, there may be not much sense for the plant to require cold stratification) and that the substrate must be extremely salty. 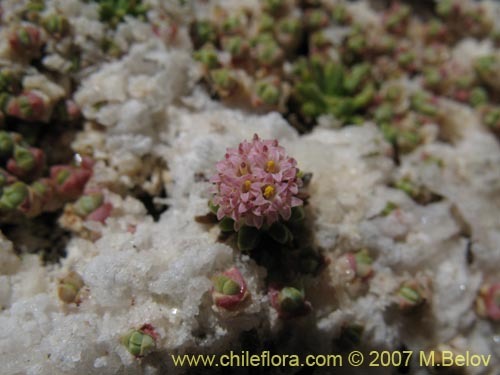 The germination temperature is also unknown, and probably tends to be quite low (probably not more than + 10 + 15º C).